Question: does this have a bonus room above the gargage..that could be finished later? 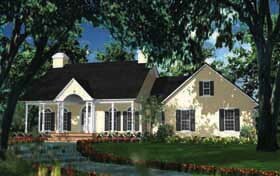 Answer: You might be interested in plan 40037 which is very similar and has a bonus room. Question: Did you have a type of exterior (white brick, lap siding, etc.) in mind as you designed the house? I think a brick facade painted white would be very attractive. Answer: This design has an stucco exterior. However, because it is such a traditional design there are many exterior treatments that compliment this design. We have had clients use various other exterior finished such as painted brick, lap siding and a combination of brick and siding. 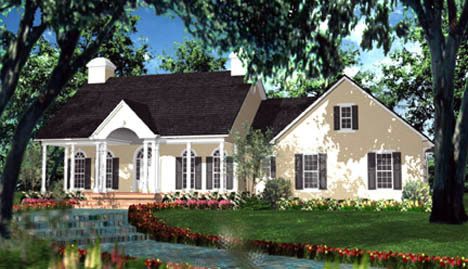 All look extremely well with this traditional style home. So yes the white painted brick would look great!